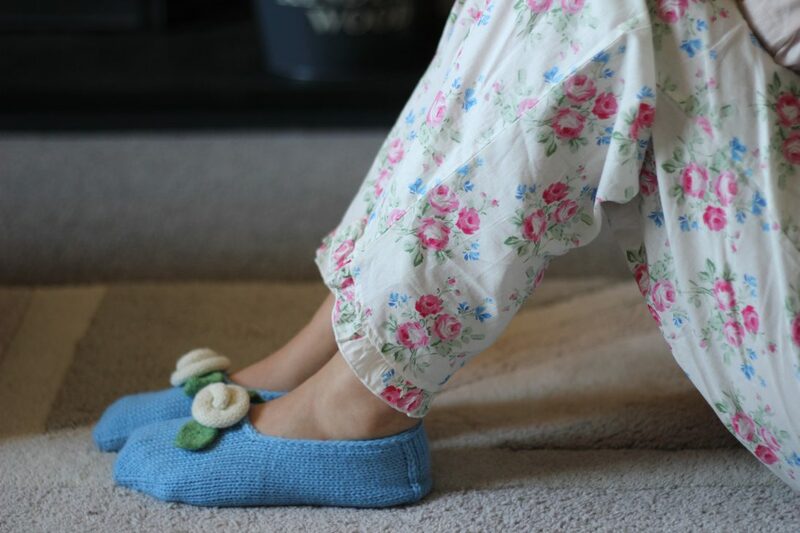 Featuring beautiful felted roses, these cosy slippers make ideal gifts for elegant ladies, including you! 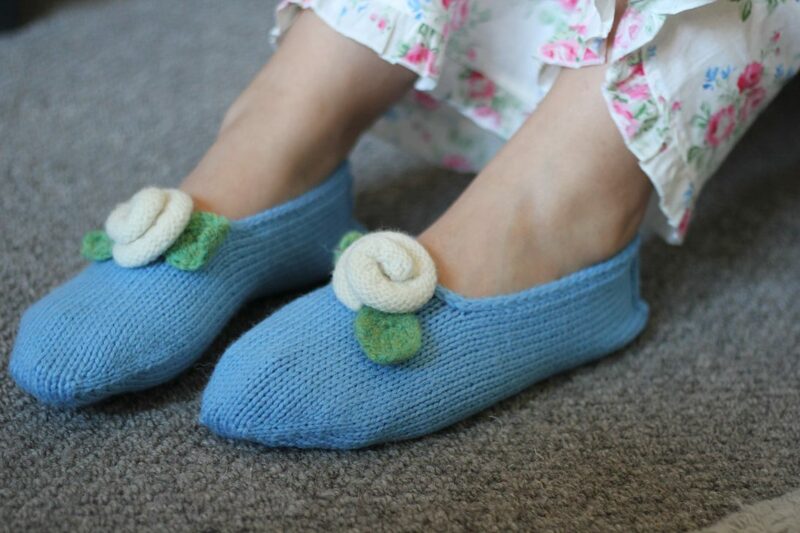 They are a simple project for anybody with a little sock-knitting experience. Choose needles for your preferred method of small-diameter circular knitting. 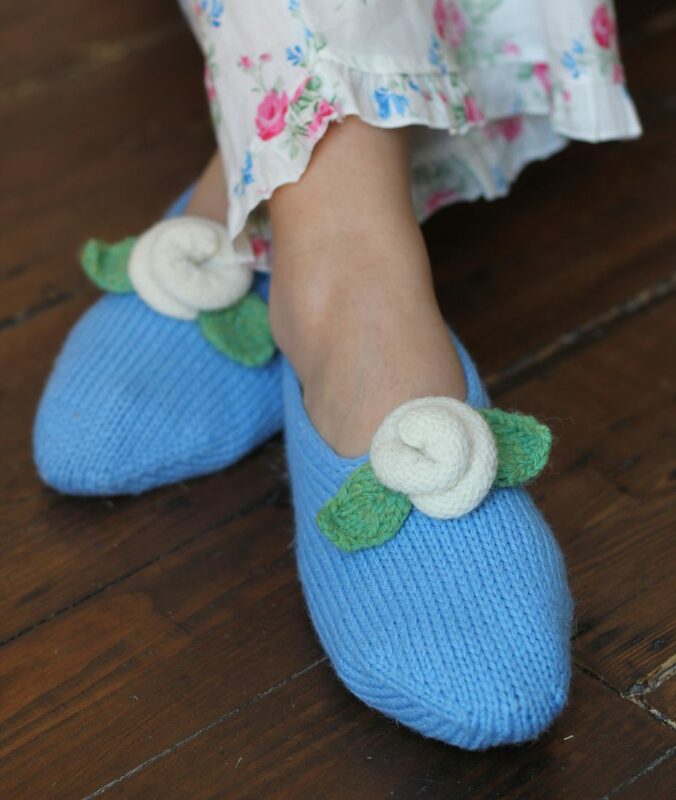 The suggested needle sizes are 4mm/US 6 for the main slipper, and 3.75mm/US 5 for the roses. Tension/gauge is 22 sts and 32 rounds per 10cm/4″ in stocking stitch/stockinette knitted in the round on the larger needles. Avé is also available in ‘A Time To Knit’ (see ‘Books’).